Egypt is one of the top diving locations in the world. The Red Sea is remarkably clear and the coral reefs are stunning. Several locations are popular for diving and come with different types of dives and environments. The main four towns are Dahab, Sharm el Sheikh, Hurghada, and Marsa Alam. Whether you are a beginner diver or certified advanced, Egypt has incredible diving for all levels. 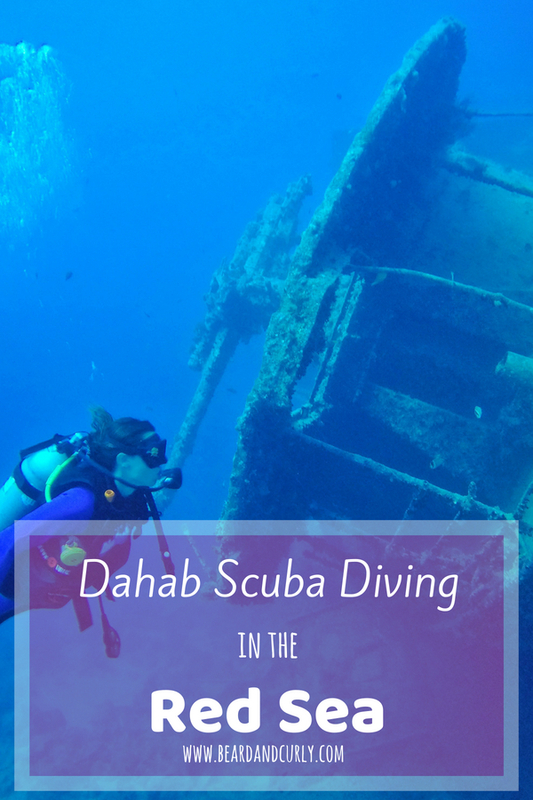 We chose to dive in Dahab and loved it. Dahab is a fun scuba diving town with excellent restaurants and cheap accommodation. It is perfect for the backpacker traveler. 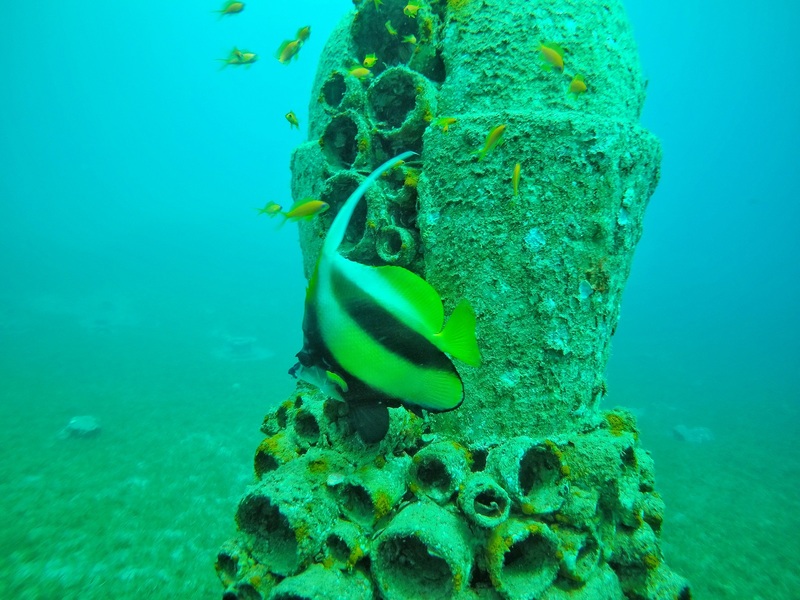 Scuba diving in Dahab is shore dives, and there are dozens of excellent dive sites located right in town. 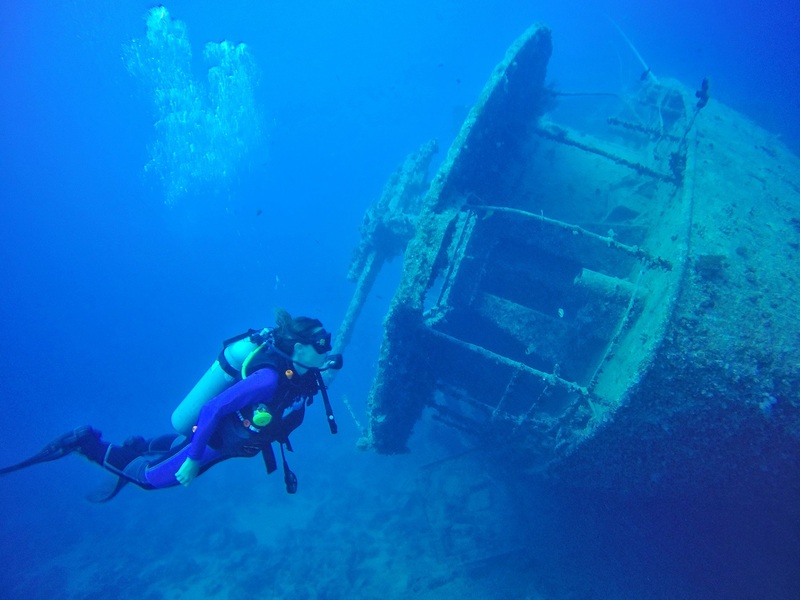 In addition to the local dive sites, groups go daily to the Thistlegorm wreck dive off the coast of Sharm El Sheikh, one of the top wreck dives in the world. 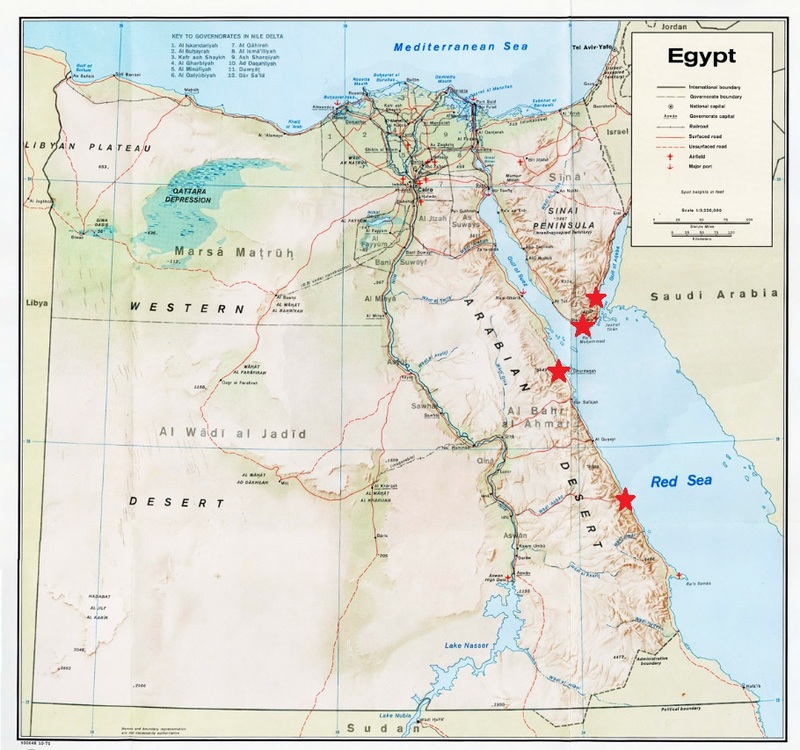 There are two areas to dive in Egypt, the lower Sinai or the eastern coastline. 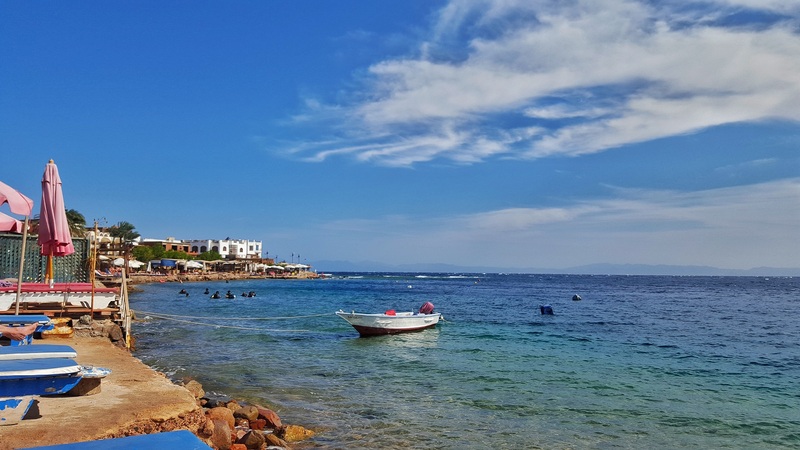 Dahab and Sharm el Sheikh are located on the southern tip of the Sinai Peninsula, while Hurghada and Marsa Alam are situated along the eastern coastline of Egypt. 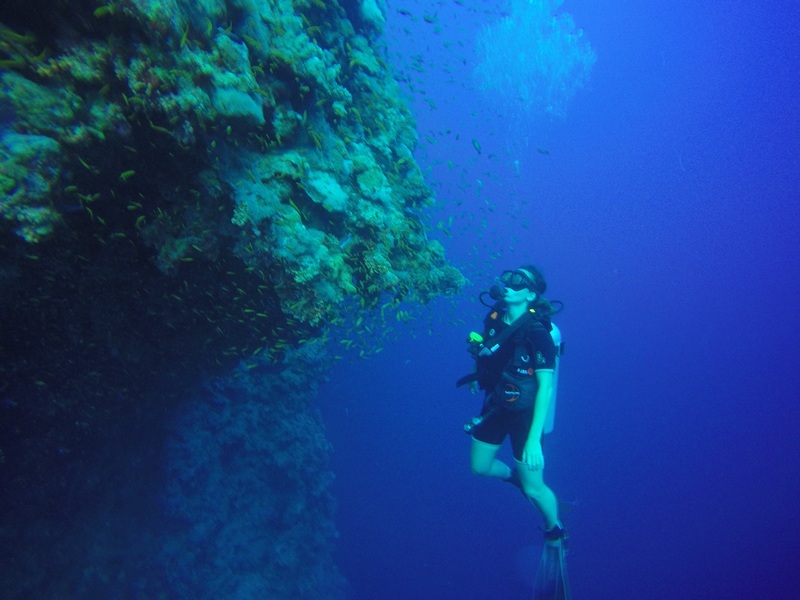 Diving around the Sinai is known for famous coral reefs. 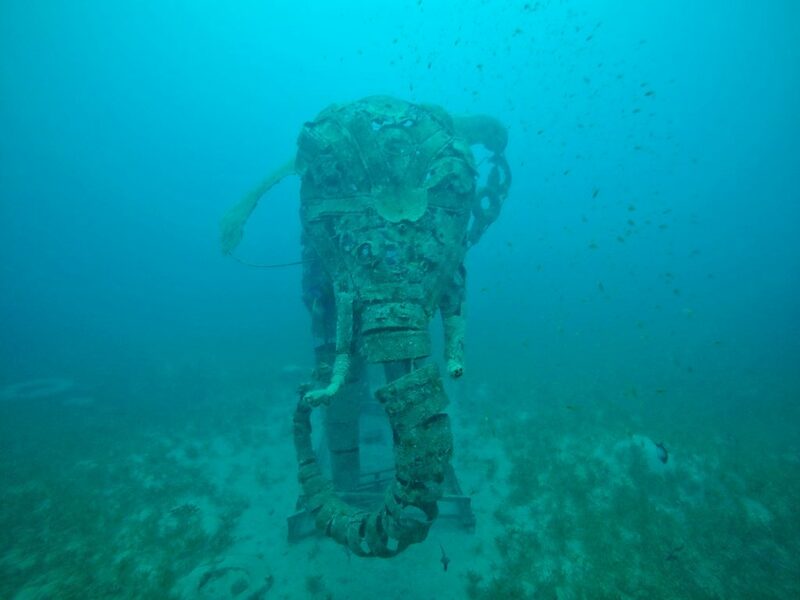 One of the best wreck dives in the world, Thistlegorm is accessible from this area. Dahab has many shore dives and is known as a budget-friendly town, perfect for backpackers. For those looking for a resort town with diving, Sharm el Sheikh and Marsa Alam are the best options. Dahab and Hurghada have larger towns which can cater to most travelers. 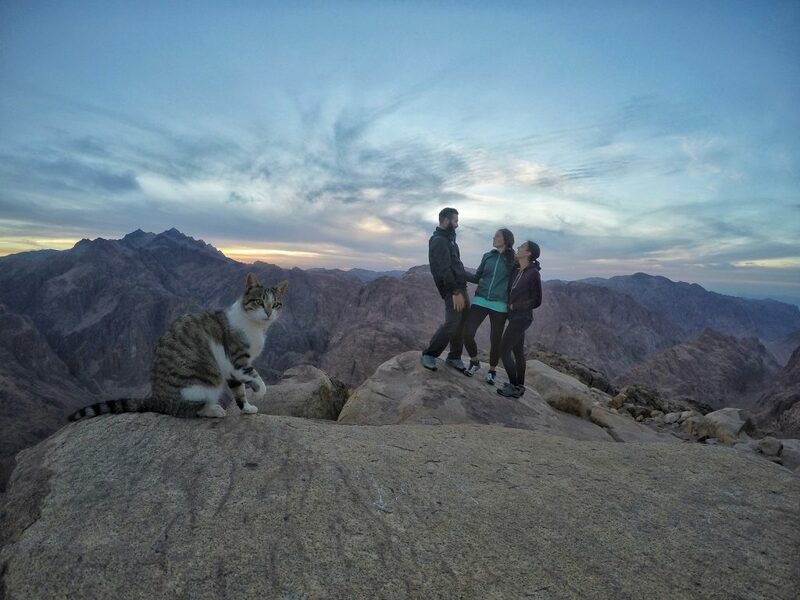 We chose to go to Dahab because it is backpacker friendly and close to several famous sites. Home to the world-famous Blue hole, Dahab is a snorkeling, freediving, and scuba paradise. Most dive locations are accessible from the shore. Dahab has a laid-back scene and is backpacker friendly with dozens of cheap hostels and budget dive shops. The main street in Dahab is lined up with restaurants and sheesha bars, so there is plenty of nightlife even for such a laid-back town. Dive shops in Egypt are either independent or located inside a hotel. If within a hotel, there are often packaged rates for dive and hotel stays. This is common in Sharm el Sheikh and Marsa Alam. Hurghada and Dahab have the most choices of independent dive shops. With many options to choose from, it is important to find a dive shop that you are comfortable with. They range from massive dive shops with dozens of divers daily, to small dive shops with only a few. Gear was also something we noticed to look for, because some shops had brand new gear, while others seems like they have been through war and back. Dive shops are struggling for business in Egypt due to the low-level of tourism, so deals can be made. Dahab has the best prices in Egypt. We preferred to dive with the very highly rated and fun group at Octopus World Dahab. One option is to fly to Sharm el Sheikh, a 45-minute drive from Dahab. The other option is to take one of the several buses from Cairo. Typically departing four times daily the journey takes 8 to 12 hours depending on the class of transportation. Buses can range from local economy class to VIP tourist buses. Before entering the Sinai at the Suez, there is a military checkpoint that is a very thorough (all baggage is checked). Private shuttles can be arranged with some hotels. Cost: Economy buses start at 100 E£ and the VIP buses range in price from 190 E£ to 230 E£. Seven Heaven, a backpackers favorite, has great room prices, good food, and a dive shop on site. If any courses are taken with their dive shop, they offer a free stay in their dorms or 20 E£ off a private room. Dorm rooms cost 30 E£ per night and private double rooms cost between 60 E£ and 80 E£. We didn’t feel comfortable diving with them because there was only one instructor for 8-12 divers. Another good budget option is the Deep Blue Divers Hostel which dorms cost 45 E£ ($3 USD) and private rooms started at 125 E£ ($7 USD). For a mid-range hotel, check out the Red Sea Relax Resort with single rooms for 670 E£ ($38 USD) and double rooms for 850 E£ ($48 USD). 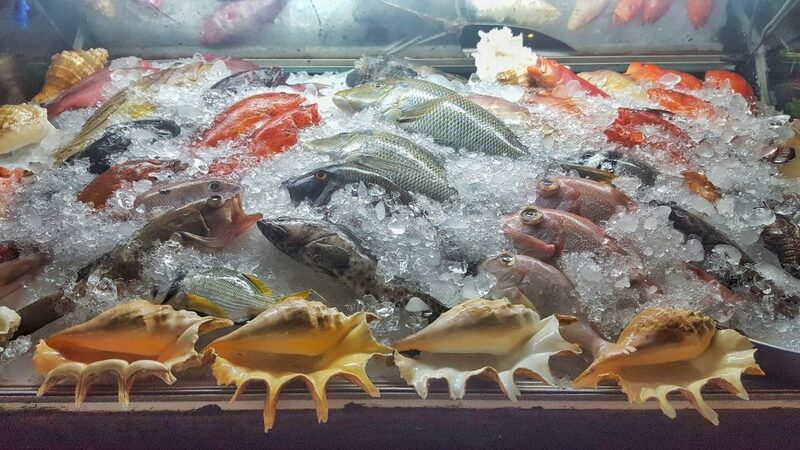 Seabride Seafood restaurant – pick your fish, shrimp or calamari and choose between fried and grilled (grilled is amazing). Comes with an assortment of mezze plates. Costs between 60 E£ – 90 E£ per person. Nemo Restaurant – Not the most amazing restaurant, but Nemo has an excellent crew who provides top-notch service as well as a great place to chill for some sheesha. Pick from an assortment of fresh seafood for around 60 E£ per person or order some pizza off the menu for 35 E£. We were able to negotiate the prices. Mariem – In the town center where locals eat and do their shopping, there are several seafood restaurants. Mariem was our favorite, where 50 E£ per person will be a feast. Prices may seem the same as the boardwalk restaurants, but the plates have almost 50% more food. Everyday Cafe & Restaurant – Offers mouth-watering cheesecakes and chocolate cakes. Cost 25-30 E£. Tip: With Egypt hurting due to low tourism, many restaurants negotiate down the prices. It never hurts to ask. Mount Sinai is a pilgrimage site for Christians. For the rest of us, it is famous for sunrise or sunset hikes. 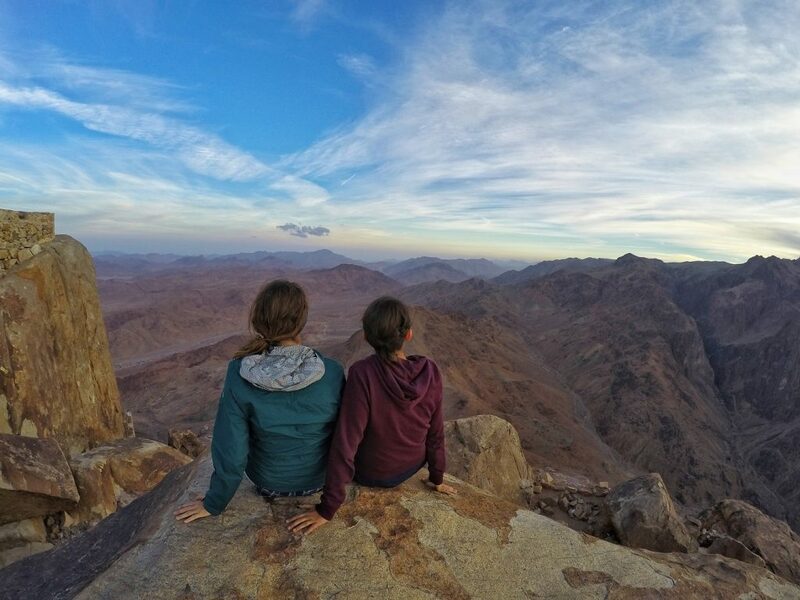 Tours originate from Dahab leaving at 11 pm, to start hiking at 2 am for an incredible sunrise and arrive back in Dahab at noon. While this is more common, we like our sleep. Another option and still a great one is to go for sunset. There are only a few people there for sunset. Find a group of 3-5 people and hire a private car for the day. Arrive before noon to visit the Monastery before it closes, followed by a hike to the summit for sunset. The hike took us less than two hours each way. Cost: Night tours cost 110 E£ including transfer and entry costs. Private cars can be hired for 500 E£, entry ticket costs 25 E£ and mandatory guide costs 100 E£. While not at all are traditional, we had a great time at the Bedouin dinner. The meal was delicious and we danced under the stars around a campfire. We also hiked to an overlook to see the ocean.